Bangalore/Mumbai/New Delhi, India (21 May 2018) – The highest expression of go anywhere performance fused with peerless luxury and urban sophistication roars into India in the form of the Lexus LX 570. The latest addition to the lineup, the LX 570 is equipped with a 5.7-liter V8 engine. The LX 570 sets the benchmark in numerous ways befitting a flagship SUV. 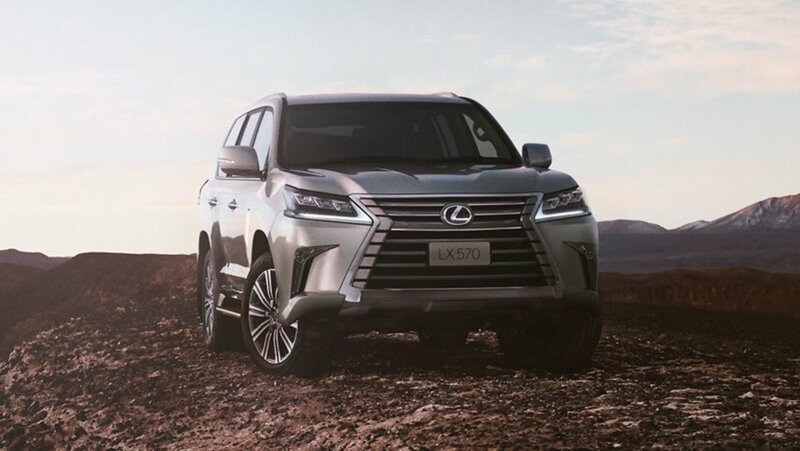 The design expression of the LX 570 makes a stunning first impression by evoking the most powerful design concepts within the L-finesse language of luxury. Performance is heightened through superior off-road technology features from its powerful frame to the intuitive multi-terrain adjustment systems. The drive experience in the LX 570 is further enhanced by Lexus signature features such as Climate Control and superior entertainment systems. The 2018 LX 570 also introduces third row seating which can transform easily to additional cargo space if needed. Relaxation comes easily to all occupants in the exceptional comfort of the seats finished by a Lexus master craftsman. “The performance and perfection of the 2018 LX embody the highest expression of Lexus engineering and design in an SUV and delivers for the Indian road in ways not previously seen. The addition of the LX 570 to our line-up in India offers our guests a striking vehicle with a commanding presence on the road, and exceptional ride quality to match. This is a car built for those who navigate life’s twists and turns with ease and authority,” said N Raja, Chairman, Lexus India. The LX 570 makes a stunning impression through signature Lexus design elements such as the spindle grille and the eye-catching Lexus L-shaped illumination of the triple LED headlights. Inside, the mark of the Takumi is evident in the superior semi aniline leather interiors and the Shimamoku trim on the steering wheel. The Lexus spirit of hospitality, or omotenashi, is expressed in the interior of the LX 570 - spacious cabin, silky white LED lighting and ambient illumination integrated in the doors. The Lexus Climate Concierge lets you customize your individual temperature and comfort. State-of-the-art entertainment is provided by the premium 19 speaker Mark Levinson reference surround sound system delivering home-theater quality in-car entertainment along with high-definition 11.6-inch liquid crystal AI (Artificial Intelligence) displays for rear seats. The 2018 LX 570 elevates the drive experience on numerous fronts. The resilient off-road performance is built on the core strength and reliability of an exceptional chassis, enabling the vehicle to resist the twisting forces of uneven terrain without compromising comfort and refinement. The frame is designed to separate the suspension from the bodyshell, helping to prevent noise and vibration from entering the cabin. Multi-terrain Select adjusts multiple vehicle systems to negotiate a range of conditions and demanding off-road conditions are seamlessly managed by the 5-speed Crawl Control, which intelligently adjusts the torque and brakes on each wheel independently, allowing the driver to focus fully on steering. Lexus human-centered approach guided the LX 570’s development – from the comfort of the interiors to the intuitive technological features and the car’s exceptional performance features. The Lexus LX 570 will be available for booking from 21st May 2018 at INR 2, 32, 94,000 (ex-showroom). Lexus began its journey in 1989 and has, since then, expanded its line-up to meet the needs of luxury consumers around the world. It is now going beyond its reputation for high quality vehicles with the integration of innovative technology, emotional exterior and interior designs, and engaging driving dynamics and performance. Lexus is the luxury hybrid leader, having sold over a million hybrid vehicles globally. Lexus vehicles are sold through a network of dealers who are committed to delivering exemplary guest experiences.